Running The Race Before Us: What are your holiday traditions? I haven't participated in a blog linkup in a long time. I'm not sure why. 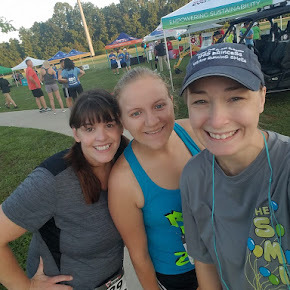 I really enjoy getting to know other bloggers, and a linkup provides a great way to "meet" fellow bloggers. 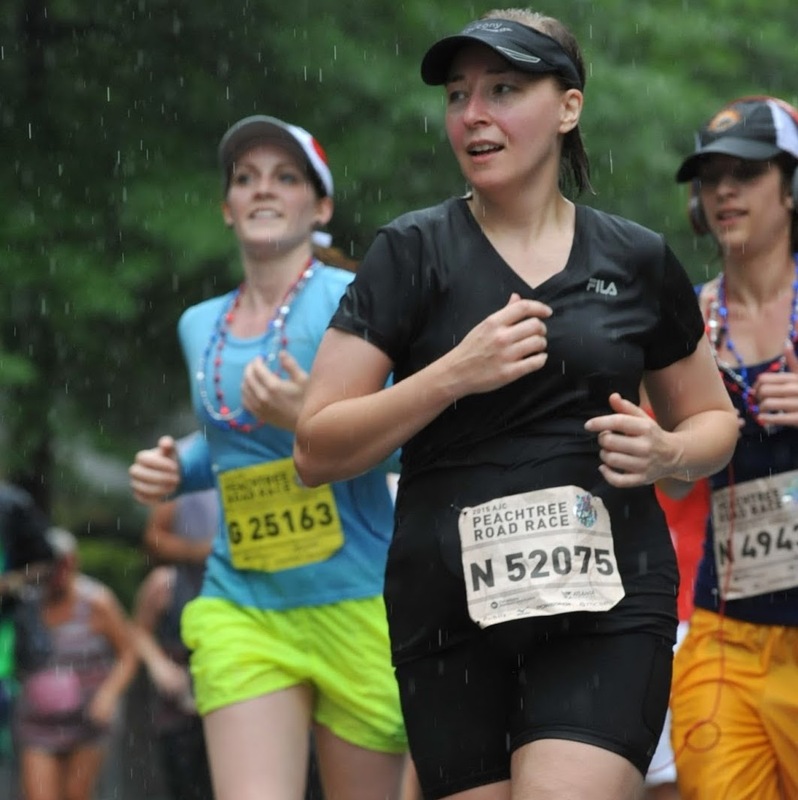 Anyway, I was excited to find this particular linkup on a running blog I follow: Darlene at My First 5K. 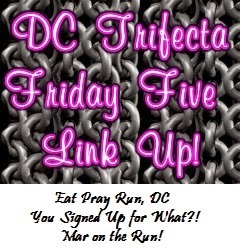 The "Friday Five" is sponsored by three blogs: Courtney from Eat Pray Run, DC and Mar from Mar on the Run and Cynthia from You signed up for WHAT?! If you are interested in participating in future "Friday Five" linkups, here is what you do: first, write a post about five things (random things or things in line with the chosen theme for that week). 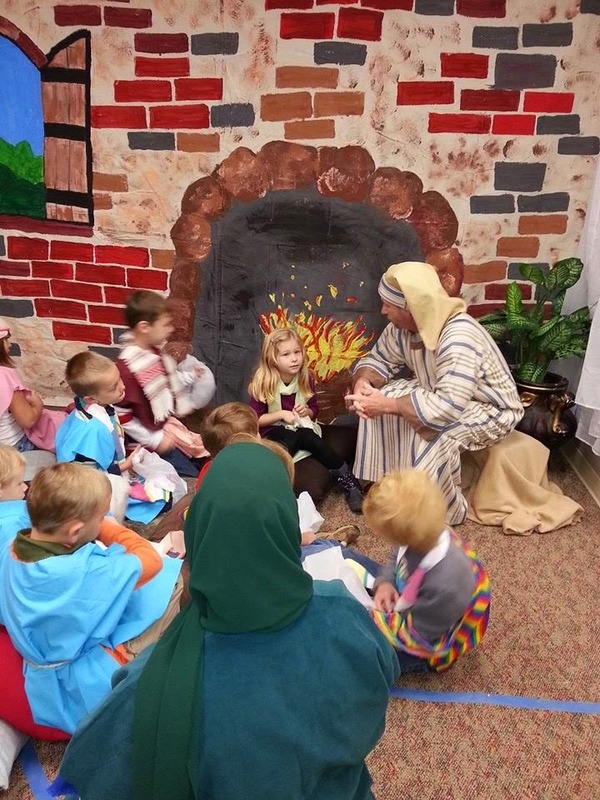 The theme for this week is holiday traditions. In your post, you have to put the above pic and be sure to list and link to the blogs that sponsor the linkup. Then all you have to do is go link your post on their pages. There is an app that facilitates this. So, enough "talk." Let's get started! 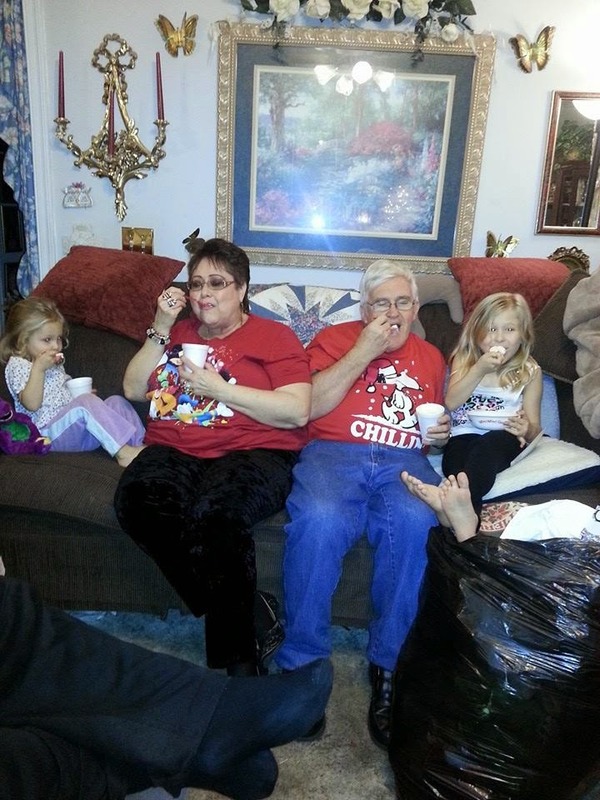 Here are five of our family holiday (in our house, Christmas) traditions! 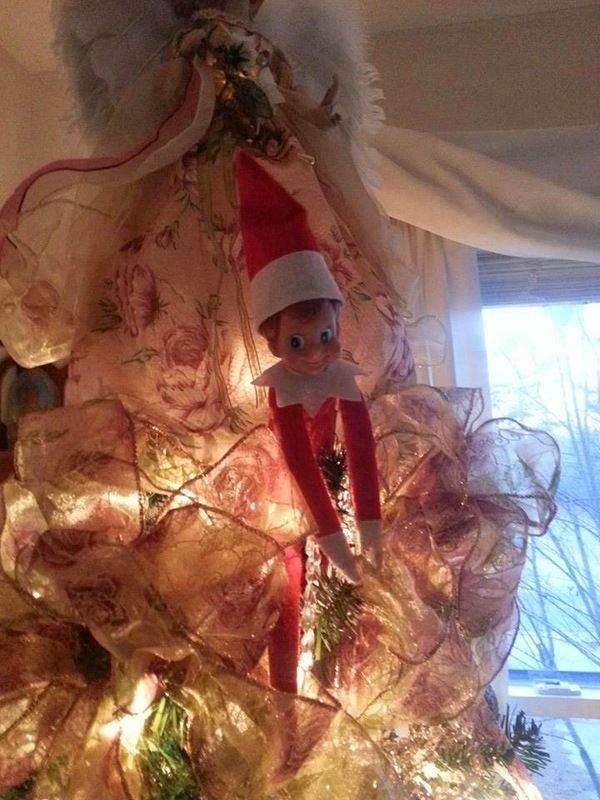 George returns every year on Thanksgiving night, and he always lands in the Christmas tree. 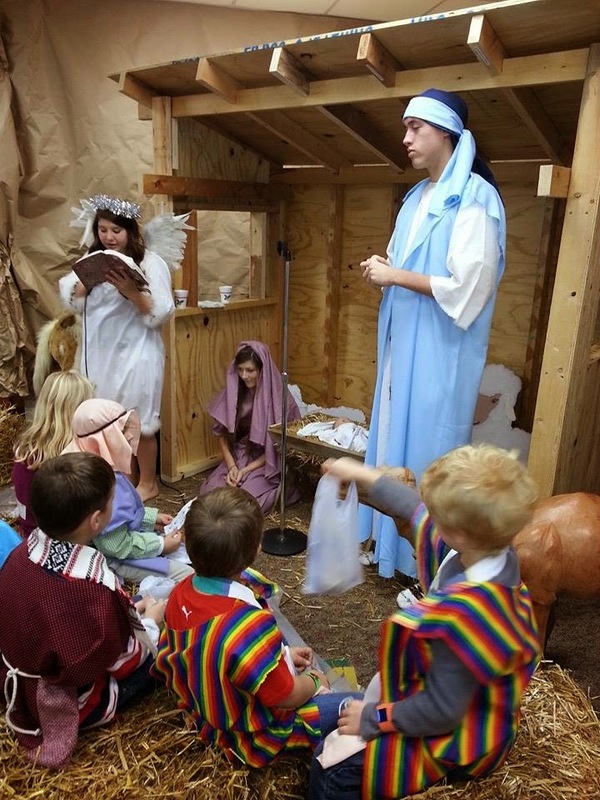 The angel with Mary and Joseph at Jesus' birth. 3. Every year before Christmas, we meet up with my husband's parents to eat and exchange gifts. It's a fun time for the girls. They love their Nonna and Poppa! ALWAYS ice cream for desert! 4. 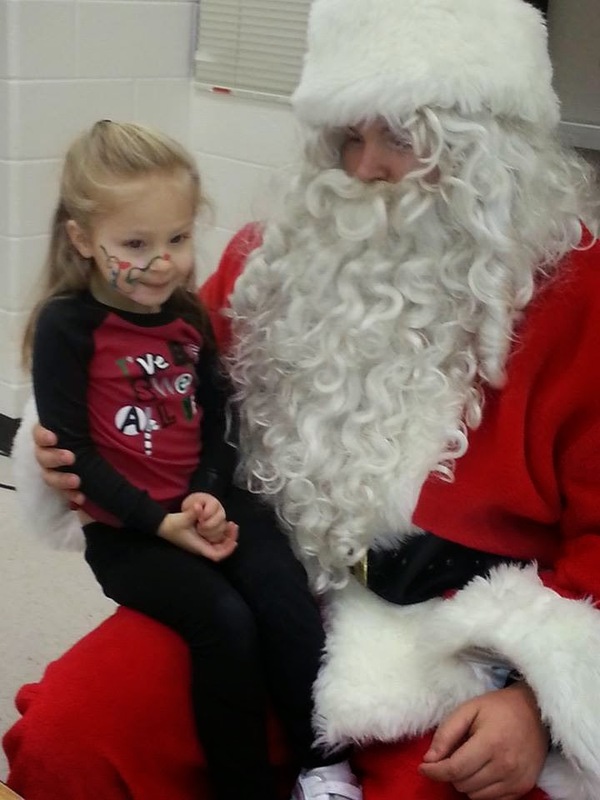 We always make time to go see Santa at some point during the Christmas season! 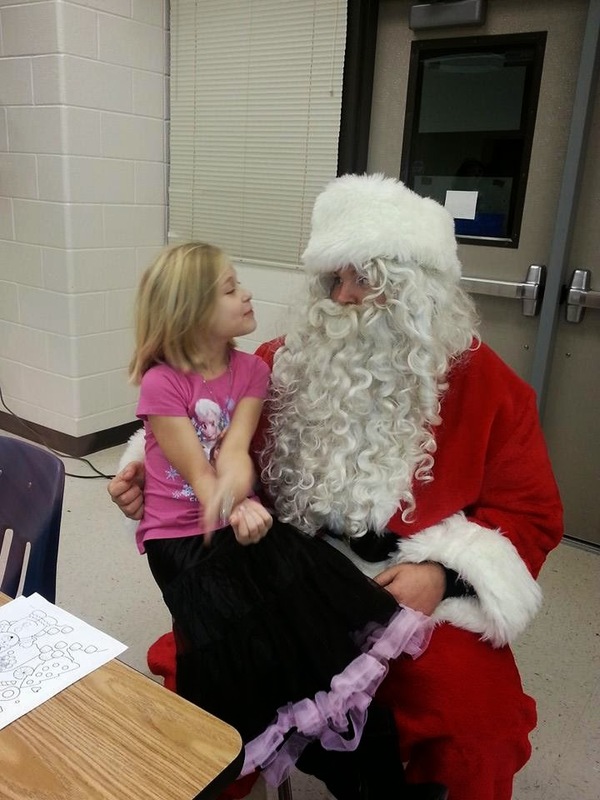 Here are this year's pics of the girls with ol' Saint Nick. Beth (7) - She wants a computer for Christmas. Hannah (3) - What she wants changes every minute of every day. 5. And finally, every Christmas eve, the girls wake up to find that Elf George has brought them some early presents. 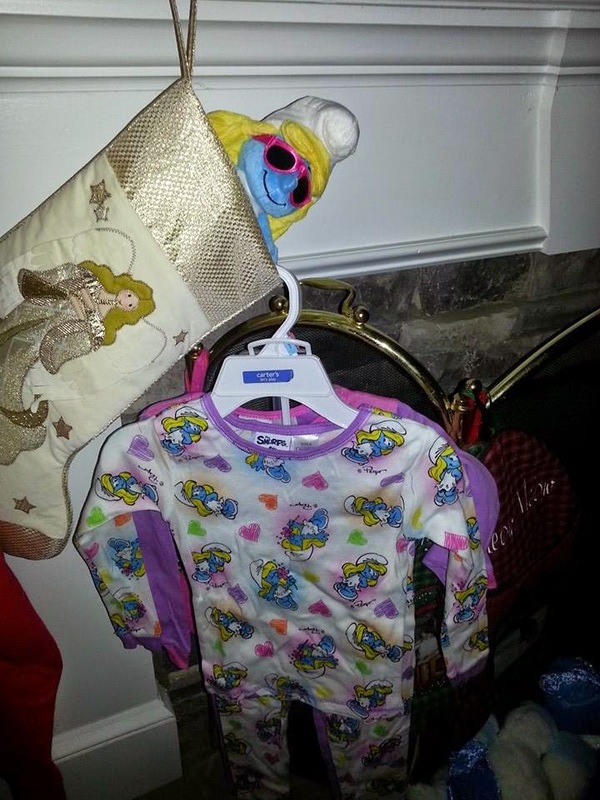 New pajamas are always included with the gifts. There are more holiday traditions I could mention, but it's "Friday Five" and not "Friday Fifteen." Today's forget-me-not: Make memories. Lots of them! 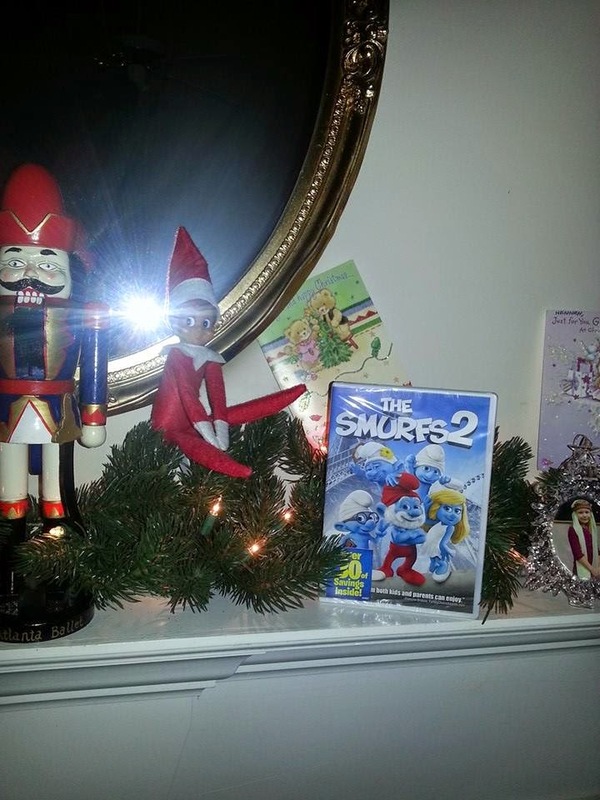 Elf on the Shelf seems to be all the rage. I just learned about it! Great holiday pictures! Happy Holidays! Enjoy all of your holiday traditions!